Kwanghee has almost fulfilled his military duty and will come back to TV. According to his agency Bonboo ENT, Kwanghee will attend the discharge ceremony in the morning of the 7th. At 9 AM, he will be greeting to fans and reporters near the ceremony venue. 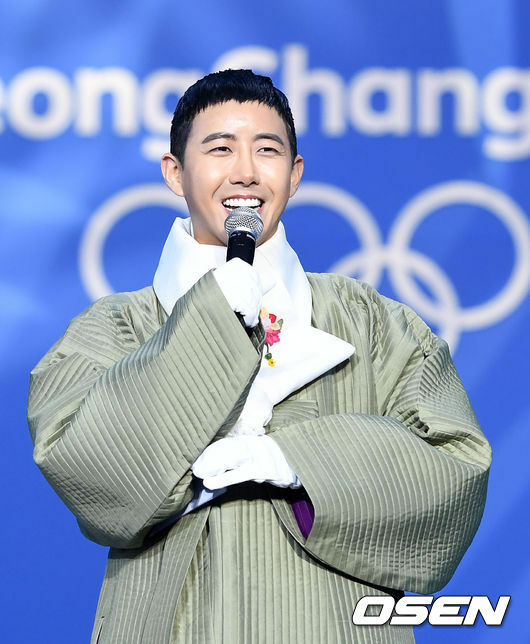 Last year, on March 13th, Kwanghee entered the Nonsan Training Camp to receive the 5-week-long military training. After the training, he has been fulfilling his military duty as part of a military band. He had privately entered the training camp by only bringing his manager. Nobody including MBC ‘Infinite Challenge’ members, Choo Sung-hoon (who is in the same agency), or his parents accompanied him. As soon as he is out of the army, he will start appearing on TV. Although many TV shows have sent him love calls, he has decided to appear on MBC ‘Point of Omniscient Interfere’. Through the MBC show, Kwanghee will share his casual and cheerful lifestyle with his manager. Meanwhile, Kwanghee was born in 1988 and first debuted as a member of ZE:A in 2010. With his entertaining talents, he had hosted a variety of entertainment shows, and also joined the ‘Infinite Challenge’ team in 2015.